In order to achieve any self improvement, you must have goals. In order for your goals to be worthy of your action, they must be S.M.A.R.T. goals. A goal should be written with as much specific wording as possible. ‘I want to lose weight’ is not as specific as ‘I want to lose 10 pounds.’ You have to know what you are shooting for before you can make a plan. A good goal should be measurable. ‘I want to be less shy’ isn’t measurable, but ‘I will introduce myself to five new people this week’ is measurable. If your goal is specific enough it is likely to measurable. If you can’t measure your progress you’ll never know if your effort is getting your closer to attaining the goal. The goal should be attainable for you. ‘I want to be an Olympic marathoner’ is probably not attainable for most of us. ‘I want to complete the Boston Marathon’ is attainable for most of us with a lot of work and dedication. If you set your goal too lofty your subconscious mind knows it and will keep you from even getting close. A realistic goal is a lot like attainable goal except it usually has a time frame involved. A realistic goal incorporates your real life into the mix. Expecting yourself to exercise every single day for a month doesn’t allow for the night that the car breaks down or that your boss hands you an urgent assignment. The unexpected will come up so expect it. You’ve not failed if you are making progress and persevere. 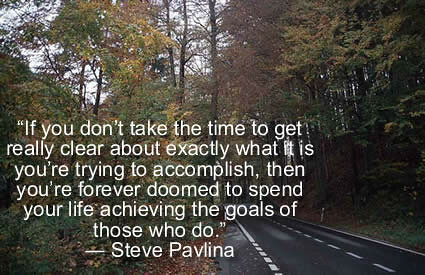 Each goal should have a time frame associated with its completion. Without a time limit, most procrastinators will never begin and perfectionist will feel no need to tackle the steps needed. Our human natures need that extra push to get us started and keep us on track. There’s one aspect missing to SMART. There should be a W.
Write the goal on paper and post it somewhere visible for frequent review. Setting goals is an important step but if you forget what your goal is it is unlikely you will take any steps to achieving it. You're here: SelfHelp Home » Goal Setting » SMART Goals for Self Improvement!